Additionally, the company supervised the construction of the military airfield at Ramon, built by the United States during Israel’s withdrawal from Sinai. Coordination of the construction of the Ramon Air Force Base, such that our company represented the military vis-à-vis the Americans who constructed the airfield prior to the withdrawal from Sinai. The company’s job included supreme supervision over the construction of runways, underground hangars, various structures, and the various electromechanical, communication, and infrastructure systems. The movement of passengers at the airport from the ticketing counters to the airplanes, and in the opposite direction, requires provision of guidance, a nice environment, and comfortable passenger-moving facilities. The solution provided is beautiful, comfortable, uses aesthetic and durable materials, and includes unique constructive solutions such as suspending the ceiling by the one above it. 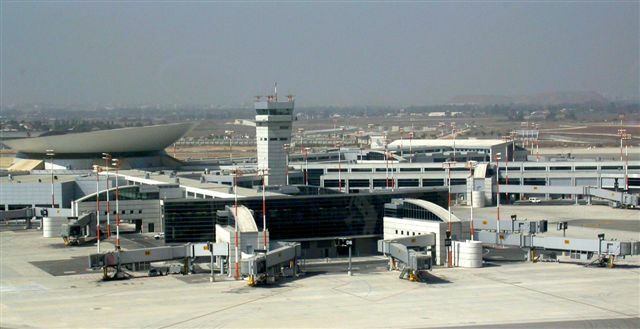 The architects succeeded in integrating a functional solution for the movement of arriving and departing passengers, luggage, and all other services needed for airport users and passengers using an impressive architectural design and widespread use of Israeli materials, coating the walls with exposed stone, unique geometrical shapes such as pillars and capitals that double as air conditioning ducts. This integration gave it an appearance which is very tasteful, aesthetic, prestigious, and beautiful. 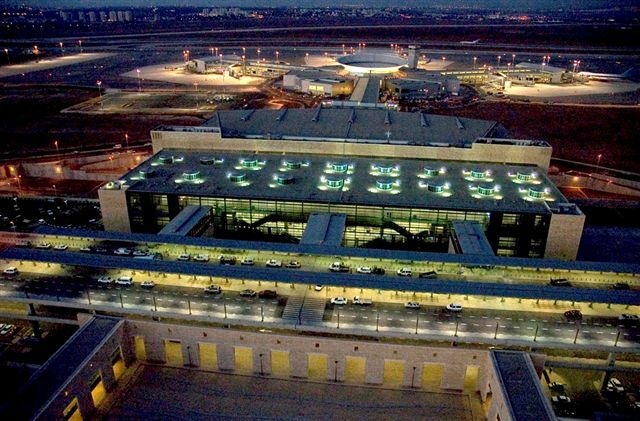 Ben Gurion Airport 2000–The Project in its totality-Development of the construction of the ground terminal and concourse. The project management company executed budgetary control, time schedule control, symbolization control, design submission, and document inspection for the entire period of the project – from the appointment of a management company until the final delivery (10 years). The company operated a team for every area of construction, control, administration, fiscal control, and schedule control during the operation. At the height of the project, the company employed a total of c. 120 employees. Terminal 3, one of the most beautiful and modern in the world, has three concourses and 24 passenger loading bridges (e.g., ‘Jetways’), which enable simultaneous connection to 24 aircraft; there is capability to expand to another 2 concourses for 16 aircraft. A network of roads and bridges, c. 38 parking spaces for airplanes, an additional taxiway, an energy supply center, car parking lots, and many additional accessory facilities. The terminal was designed as a modular structure, so that it would be possible to expand its operations in the future, according to developing needs. 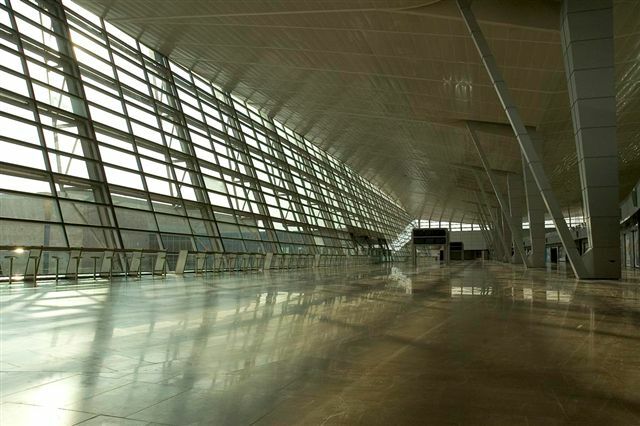 Terminal 3 covers a ground area of c. 1,700,000m2 and a built area of c. 270,000m2. It includes a 7-level ground terminal, a 3-level concourse, two-level parking areas which include 2,400 parking spaces, and open parking lots with an additional 2.100 parking spaces.